Today we're participating in a blog tour for a new book by award-winning novelist Susan Meissner who’s here with us today to talk about her newest book from Penguin NAL. A Fall of Marigolds is a part historical novel, part contemporary novel set on Ellis Island in 1911 and in Manhattan a hundred years later. Make sure you read to the end of the post so that you can find out how to get in on a drawing for a fabulous gift basket that includes a $100 Visa gift card. Susan, tell us where the idea for A Fall of Marigolds came from. The book is about two women who never meet as they are separated by a century. One woman, Taryn, is a 9/11 widow and single mother who is about to mark the tenth anniversary of her husband’s passing. The other is a nurse, Clara, who witnessed the death of the man she loved in the Triangle Shirtwaist Fire in Manhattan in 1911.In her sorrow, Clara imposes on herself an exile of sorts; she takes a post at the hospital on Ellis Island so that she can hover in an in-between place while she wrestles with her grief. She meets an immigrant who wears the scarf of the wife he lost crossing the Atlantic, a scarf patterned in marigolds. The scarf becomes emblematic of the beauty and risk inherent in loving people, and it eventually finds it way to Taryn one hundred years later on the morning a plane crashes into the North Tower of the World Trade Center. The story is about the resiliency of love, and the notion that the weight of the world is made more bearable because of it, even though it exposes us to the risk of loss. This is your first general market novel after having written more than a dozen books for the inspirational market. Why the switch? I got my start in the inspirational market and am immensely grateful for that experience. Every published novelist wants to connect with her ideal reader. We don’t all like the same genres and we don’t all like the same style and voice. I believe a great many of my ideal readers shop in the general marketplace because that’s where I shop. My favorite authors — among them Kate Morton, Geraldine Brooks, Lisa See, Jamie Ford, and Diane Setterfield — are all general marketplace authors. Add to this that my faith threads are always subtle rather than obvious, then the move to the general market place seems like a great way for me to connect with more readers. My approach to faith in my writing is one that I liken to the subtlety of God’s presence and influence in the Book of Esther in the Old Testament. The faith thread in the Book of Esther is as subtle as it can be – God is never even mentioned – and yet the story is powerfully told and the virtues of loyalty, trust, hope, and courage are obvious. I have never thought of myself as writer of Christian fiction but rather a Christian who writes fiction. Your last few novels have had historical components interwoven within a contemporary story. Why do you prefer that kind of story construction? Why a scarf of marigolds? What is their significance? named one of the 100 Best Novels in 2008 by Publishers Weekly and the ECPA’s Fiction Book of the Year. She is also a speaker and writing workshop leader with a background in community journalism. She and her husband make their home in Southern California. As part of the release of A Fall of Marigolds and this blog tour, Susan is giving to one lucky winner a gift basket that includes a $100 Visa gift card, a copy of the book, the DVD Forgotten Ellis Island, and a beautiful re-purposed infinity scarf patterned in marigolds and made from a vintage Indian sari. To be eligible, just leave a comment here between today and midnight Eastern on Friday, February 21. If you would like to see a list of the other participating blogs on this tour, just click here. Feel free to visit those blogs and increase your chances of winning by posting one comment on those blogs as well. One comment per blog will be eligible. Additionally, there will be one winner of a signed copy of A Fall of Marigolds from among those who comment on this blog. Just leave a comment by midnight Eastern on Friday, Feb. 28 and you’re in the running for the grand prize as well as a signed copy of the book. Good luck! Oh my goodness, Susan, I am in love with this book already!!! Partially because of the compelling nature of the story and partially due to the fact that I'm drawn to Edwardian era novels. I can't wait to find this!! What beautiful symobilism and deep meaning? I'm a lover of history too and it was awakened when I traveled to England. Btw, do you start off a story with an idea (the hospital and what happened) or with characters, usually? Just curious - I imagine it might be different for different books. Glynis, I'm right there with you! I love Susan's books and how she mixes present with the past so beautifully. Thanks for stopping by today! Susan, your newest books sounds wonderful! I"m going to be looking for it. :) I've loved the other books I've read by you. Thanks for making Susan's Giveaway possible. I'd love to win. 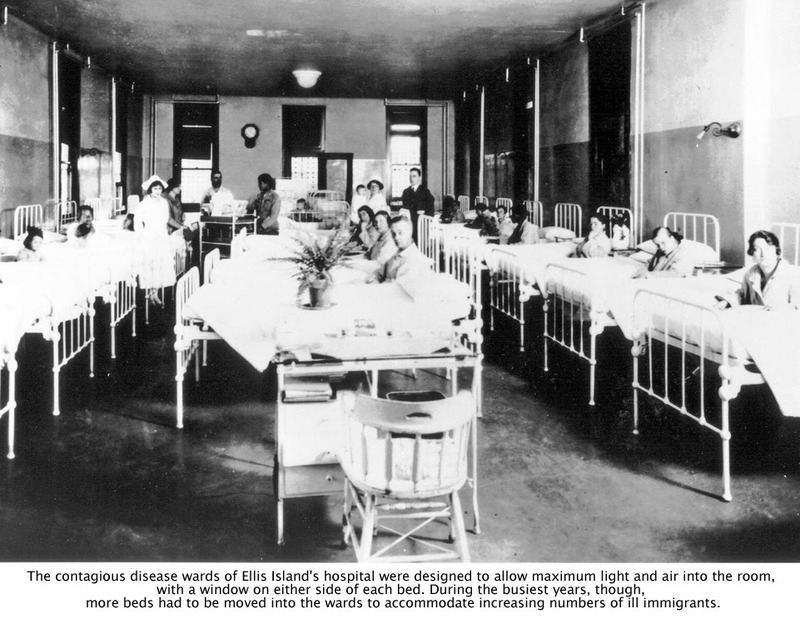 My grandfather had 2 siblings sent back to Europe from Ellis Island because they were "deaf mutes" and weren't permitted to step foot on American soil. Sad, but true. Thanks for all your lovely comments, everyone! Jeanne: I have no idea how I do what I do! Seriously. I guess the best way to describe is I chase every rabbit on every rabbit trail. I imagine how many different ways a person could get to be where they are at and just as many ways to get them out of the mess. I am always asking WHY? Why are they here? Why does it matter? Why do they want what they? WHY questions always lead to character motivation, as much a driver of plot as anything I can think of! Above, I meant to write, "why do they want what they WANT?" Sounds very interesting, the weaving of the two stories separated by 100 years together. I am not familiar with Susan's writing, and would love to read this book. Can't wait to read this one! I love the Edwardian period and the cover is gorgeous. I've just started my first Kate Morton novel and I can see why you like her so much! I'm falling in love with her beautiful descriptions, such a vacation for the mind. Susan, I enjoy your books very much. You gave me one years ago at a time it really touched me. Thanks for all your great work. Thanks again, everyone! Bluebelle,I have found both are fascinating periods, but there is something about the WW2 era that is like a magnet for me. I think it might be because this was a time when everyone everywhere was touched by what was happening around them, and the fact that there was so much at stake, and soooo many brave people stepped forward at great personal risk. Oh, Susan! I remember talking with you about this book at ACFW.... Now I'm even more convinced I will love it! What beautiful symbolism! 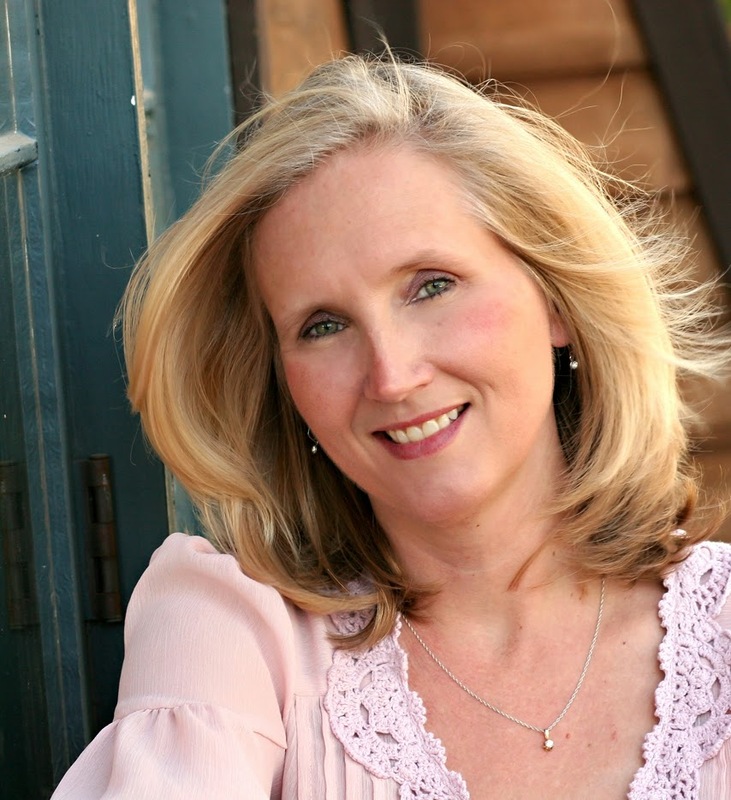 I'm a big advocate of subtle Christian themes reaching through a secular story-reaching a market very often out of the reach of Christian Fiction authors. The message can break through and sow a seed in an unlikely place. Cheers to another Christian who writes fiction. I'm looking forward to reading your story and seeing it take off in ABA! Thanks for joining us on the Alley! A pleasure. Thanks,Amy, for your affirming words!! It was so cool to be here. I love Susan's books....have read all of them (I think). I am anxious to read this one...a big THANKS for the giveaway. This sounds like an incredibly interesting story. 1. Marigolds have always been a favorite of mine, because they survive the hottest draught and even the cooler summers. They add a bright spot to any landscape, while chasing away the mosquitos. 2. 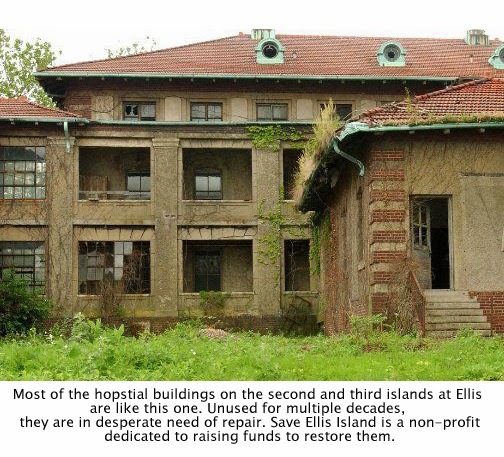 Ellis Island has a personal link to so many people, and most are unaware of it. It has limitless stories to be told. 3. I love a good story with historical background. 4. I'm always looking for books by authors I haven't read before. This is Susan's best novel yet, and I've loved her previous ones. What a great story! 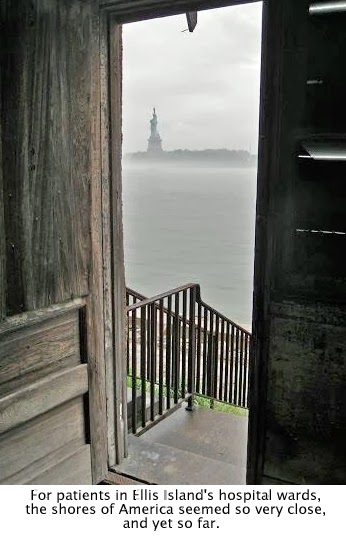 I have always be fascinated with Ellis Island. this is amazing! I can't wait to read it. Just reading your telling of the inspiration behind it is wonderful!! I can hardly wait to read this book. It looks extremely compelling. Thanks for a great interview and pics! I love when the past and present are linked together This sounds like an amazing read and it's now on my TRL. This sounds like a great book to read! I found the interview fascinating and now I really want to read the book even more! :) Thank you for the chance to win. What a compelling interview and wonderful giveaway! 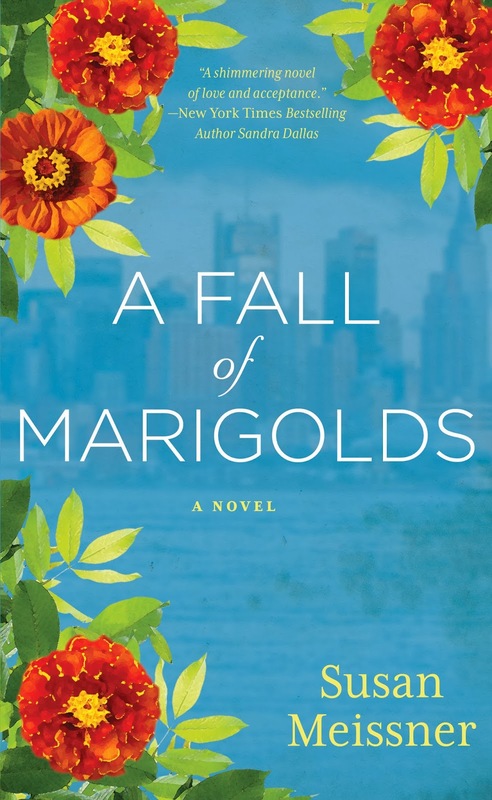 A Fall of Marigolds sounds like an amazing story! Thank you so much for the chance to be a winner!